Dr. Kevin Head began serving as Senior Pastor at First Baptist Roswell in March 2016. Prior to this, he served as Interim Pastor beginning in December 2014 and as Minister to Young Families from February 2012 through November 2014. Kevin has pastored three churches in Kentucky and more recently served as Senior Pastor of First Baptist Church in Lumberton, North Carolina. In 2007, Kevin and his wife, Amy, began a ministry-based counseling practice in the East Cobb/Roswell area. 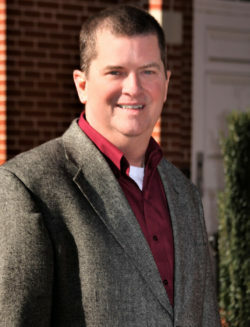 Kevin is a graduate of Furman University and the Southern Baptist Theological Seminary in Louisville, Kentucky. He was ordained by the First Baptist Church of Belvedere, South Carolina. Kevin’s model of ministry is based on John 8 and the amazing, continual grace of Jesus Christ. Kevin and Amy have two children, Jenna and Joshua. 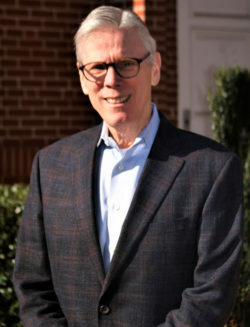 Dr. Doyle Hamilton, Minister of Congregational Care, has been with First Baptist Roswell since 1996. He is a graduate of Baylor University, Southwestern Baptist Theological Seminary, and the Southern Baptist Theological Seminary. As a pastoral counselor and Licensed Marriage and Family Therapist, Doyle works with couples, families, and individuals. Doyle (from Monroe, Louisiana) and his wife, Salley (from Charleston, South Carolina) have one daughter, Erin. 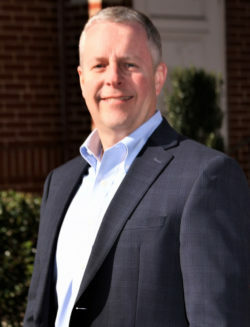 Reverend Robert Turnbull joined First Baptist Roswell in May of 2005, after serving as Family Life Minister for Lake City First Baptist Church in South Carolina. Prior to his position at Lake City First Baptist, Robert served as Minister to Students for 5 years at First Baptist Church in Valdosta, Georgia. Robert is a graduate of Palm Beach Atlantic and the Southern Baptist Theological Seminary in Louisville, Kentucky. He was ordained, in his hometown of Florida, by the First Baptist Church of Avon Park. Robert’s wife, Dena, is also a native of Avon Park, Florida. They have three children: a son, Davis, and two daughters, Ashlyn and Addison. Reverend Jessica Asbell has served as Minister to Children at First Baptist Roswell since July 2012. In October 2016, she became Minister to Children and Families. 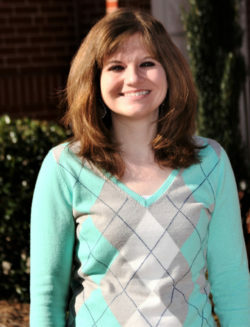 Jessica has served in various capacities in children’s ministry since 2004, when she was an intern at Highland Hills Baptist Church in Macon, Georgia. Jessica earned a Bachelor of Business Administration (BBA) degree from Mercer University and a Master of Divinity in Christian Education from the McAfee School of Theology. Jessica was ordained at First Baptist Church in Decatur, Georgia and previously served as Associate Pastor for Children and Families at Winter Park Baptist Church in Wilmington, North Carolina. In her spare time, she writes curriculum and loves to read. Reverend Logan Carpenter joined the staff of First Baptist Roswell in November of 2018 as the Minister of Spiritual Development. Previously Logan served as Minister to Youth and Families at Second Baptist, Little Rock, AR for 10 years. Logan is a graduate of Texas A&M University and the Baptist Theological Seminary at Richmond, VA. He loves to help people connect with God and grow in their relationship with Him in very real and personal ways. Logan lives in East Cobb with his awesome wife Christy and their four incredible children: Ellie, Levi, Annie and Josie. When not at work you can find him with his family at swim meets, soccer games, gymnastics practices or having fun outdoors. Reverend Brian Childers joined the staff of First Baptist Roswell in January 2019 as the Minister of Music. Prior to joining First Baptist Roswell, Brian served as Director of Children and Youth Music at Myers Park United Methodist Church in Charlotte, NC. Past roles included serving as Minister of Music at First Baptist Church (Mount Holly, NC), New Hope Baptist Church (Hickory, NC), and Zion Baptist Church (Morganton, NC). Brian earned a Bachelor of Music degree in Piano Performance from Appalachian State University and a Master of Divinity degree with a concentration in Church Music from the M. Christopher White School of Divinity at Gardner Webb University in Boiling Springs, NC. Brian was raised in a family of ministers and is married to Keely Strawn Childers. Brian and Keely have two adult children: Hannah, a recent graduate of the University of North Carolina-Chapel Hill and Spencer, a junior Music Education major at Western Carolina University. Brian is an avid runner and enjoys reading and music composition in his free time. Jane has been playing the organ since she was 13 years old and holds degrees from both Florida State University and Southwestern Baptist Theological Seminary. She served as Organist and Music Associate at Wieuca Road Baptist Church for thirty years and later served as both Music Associate and Minister of Music at Norcross First United Methodist Church. Lucy is originally from Monroe, Georgia where she served as the summer intern for First Baptist Monroe for four years. She earned a Bachelor of Science (BS) degree from Mercer University and while there, she served at Highland Hills Baptist as Youth Associate. Lucy recently graduated from Truett Seminary of Baylor University with a Master of Divinity degree.